This is the ideal flat from which to explore London and all the major attractions, located near to four tube stations and on major bus routes including the Heritage 15 tourist route from the Tower of London to Trafalgar Square. The flat is 150 meters from the Tower of London with Tower Bridge only a little further away. There are always taxis to be found in the area, as the flat is near to several hotels. River buses and cruises depart from the pier next to the Tower of London. At the end of the street (Pepys Street) is All Hallows Church, the oldest church in the City of London dating back to the 7th Century. Many famous figures have made their mark here; it is where William Penn, the founder of Pennsylvania, was baptized here in 1664; John Quincy Adams, 6th President of the US was married here in 1797, and where Samuel Pepys watched the Fire of London from the church tower in 1666. Guided tours are free of charge although donations gladly accepted and run between April and October. They also offer guided walks throughout the City for a small charge. Well worth a visit and only 3 mins walk from the flat! There are many pubs and restaurants within a few minutes walk of the flat, including American (Bodeans), French, British, Asian, and Indian. If you don't mind walking a bit further, along a route which hugs the Thames, the Narrows is in Wapping is worth a visit. There is also Brick Lane which is a street almost solely devoted to food from the Indian sub-continent and worth a visit in the evening for the smells, lights and sounds, even if you're not feeling hungry! St Katherine's Docks is worth a visit. It is a small marina, which also contains cafes, shops and restaurants. It is on the far side of the Dock that you'll find Waitrose, the larger supermarket near to the flat, as well as a Starbucks if you want something more familiar. If you cross over Tower Hill bridge and turn left, you will find some really nice (and a bit pricey) restaurants with lovely views back towards the flat across the river. From here you can walk West towards 'the Eyeball' the Mayoral building towards Tate Modern. You will usually find some interesting art being displayed along the South Bank of the river on this route. You can also walk to Sir Francis Drake's ship the Golden Hinde, and you can walk back over the Millennium Bridge to St Paul's Cathedral and back to the flat. I recommend the Jack the Ripper Walking Tour of the East End which held at night and starts from the Tower Hill tube. You might want to read up some related history before you go to really get you in the mood to be spooked! Also in proximity to the flat, you can explore St Paul's Cathedral and I recommend a trip to the top provided you don't mind a lot of steps, or alternatively why not try a visit to the crypt? You can also take a tour of the inside of Tower Bridge and see how the cantilever works and enjoy the views from the top of HMS belfast. The Monument, which marks the side of the Great Fire of London has some nice views of the local area. I made the trek to the top when 6 months pregnant (just), though I think the views from the top of the Mint Hotel, which is adjacent to the flat, are better, and they also do fantastic cocktails and bar snacks if you're so inclined. Shakespeare's Globe Theatre is definitely worth a visit, particularly if you visit in summer when you can attend one of the open air productions. For £5 you can stand or if you'd rather, there is plenty of seating. And of course a trip to the West End should be included in any stay to partake of one of the varied productions that are on all year round. My favorite Friday or Saturday activity is to walk along the river beside from the Tower of London to London Bridge and across to Borough Market where you can buy lovely fresh produce from around the country, specialty cheese and wines, and even ostrich stakes should you fancy some. Afterwards you can sit on the terrace with direct views of the Gherkin, or in one of the nearby parks, and enjoy your purchases. This flat is ideal for a single, couple, or small family. There is a UK King size bed. In addition there is a sofa that converts to a small double bed. Bedding for both is of course supplied as well as towels etc. I have a 5 night minimum policy as shorter stays are uneconomical for me. The only exception is if I happen to have a shorter space between bookings, and it that case I will consider shorter rental periods. Please check my VRBO calendar to see what the availability is as this is kept regularly updated. My husband works in and near the City of London and I am a kiwi lawyer based in Chancery Lane so the flat is ideally located for for us to use when the flat is not rented out and when family commitments permit! We have 3 small children which also keep us busy. As we have small children, if you need a travel cot (for infants) we have this in the flat so you don't need to lug it with you, and of course we can provide advice on child friendly places although most places are now geared up for children around Tower Hill and the main tourist attractions. The flat is a short walk to some amazing tourist attractions such as the Tower of London, St Pauls Cathedral, the Tate Gallery, to name just a few. Just a short walk over Tower Bridge (after taking the tour inside the bridge) takes you to some very nice restaurants and the South Bank of the Thames. From here you can walk to the Tate and along the Thames to Borough Market and the Cutty Sark ship. There are plenty of supermarkets within walking distance and Borough and Leadenhall markets for more specialist options - The Cheese Shop in Leadenhall market is run by a lady named Sue who knows all there is to know about speciality cheeses! We both really enjoy visiting the theatre and it is realatively easy to get a taxi, bus or tube back from the theatre district to the flat, and plenty of places near the theatres for a pre theatre meal. And if you are feeling more adventurous, there is the East End of London and Brick Lane to explore for curry houses and lots of bars, so it really is a great location for everyone. Unusually for London the flat has a large patio as well as a separate Juliet balcony and it has a peep of the Thames River from the balcony. You could not really be closer to major transport links but it has the advantage of being quiet at the weekends and evenings when the commuters go home. It is a very safe neighbourhood - one in which I have never felt threatened when coming home late from work or the theatre by myself. There are radiators throughout the flat. The washer is located in the cupboard in the bathroom, this washing machine is a washer/dryer. There is restricted parking in the streets around the flat, however there is an underground parking garage at the flat but there is restricted use. There a some novels and travel guidebooks which have been provided by us/donated by previous guests. There a a few games and toys. There are a number of DVD's in the flat for the entertainment of both adults and children. There is a 'Juliet' balcony from which you can see a peek of the Thames River with large sliding doors to access. The patio measurers approximately 50sqft and has a table and 4 chairs with large sliding doors to access. wheelchair accessible with lift to the foyer and 2 lifts from the foyer to the flat. We provide an ipod dock/sound system, DVD's and paperback for guests' use, iron and ironing board and hairdryer. The porters are on duty 7.30am-7pm except Christmas and Boxing Day. There is a gym and spa in a nearby hotel that is available (for a charge). Various grocery stores are located between 5-15 mins walk away. We lived in the flat for 3 years prior to moving out to the country and it has every convenience that you could wish for - although we are constantly improving with the help of our many guests. We have had over 420 satisfied guests to date! Don't miss this fabulous flat! A fabulous apartment - very comfortable bed, very quiet flat, very well-equipped. The location can't be beat. The owners were very accommodating. We can't say enough good things about this property and can't wait to return. Perfect for our needs. We were 2 adults and a child. Plenty of room. The apartment is lovely, clean, spacious and well appointed. The porters were very friendly and helpful. 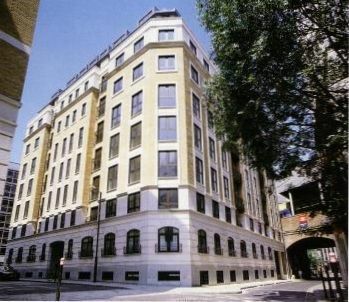 The location is ideal; close to the tube, the Tower of London and many good restaurants. A book with many suggestions of places to go and things to do was provided along with operating instructions for various pieces of equipment. We had wonderful time. Great location! Nice to come home to at end of day! Truly enjoyed our stay! Close to tube station! Very comfortable! It was comfortable. I left out "very" because of the couch. It was a bit saggy in spots. The concierge, Calum, was awesome. Location was excellent! The washer/dryer did not dry adequately. I would recommend a second set of towels be provided. Also, a top sheet instead of just a duvet. Hot nights would justify lighter bed clothing. I would stay there again because of the general comfort, building cleanliness/security, train station access (1 block), local restaurants and proximity to the Tower and Bridge. I am surprised by the towel comment as there are usually 4 sets left in the apartment at any one time and had i been asked i could have said where they can be accessed, as can spare bed linen of which there is plenty if you want a top sheet. We dont make the bed up this way as in 9 years of letting our flat, it has never been requested. But had you asked...Yes it is a soft comfy sofa. If anyone has any tips for a washer/dryer that does both well do please let me know! That is why we provide a drying rack. Glad you enjoyed the overall stay. Callum the porter is a gem! This apartment has everything you could want for a stay in London. It is in a perfect location relative to the underground. Two hotels are nearby providing easy access to taxis. You can get anywhere from here. Super close to the Tube, comfy bed and Amanda was extremely nice and accommodating for our early arrival! There are many points of historic interest, including the Tower of London, Tower Bridge, the Roman Wall and All Saints Church. As it is located in 'The City' or financial district, the area is considered very safe, even for walking around late at night. Due to the flat's proximity to four tube stations, namely Aldgate, Bank and Tower Hill stations, as well as the DLR, you can hop on and quickly be near any major attraction in central London: Buckingham Palace, Churchill's War Rooms, Whitehall, Houses of Parliament, Kensington Palace or to the east, Canary Wharf, Brick Lane, Smithfields and Spitalfield markets. It is also about a 20 min walk to St Paul's Cathedral and I definitely recommend making the walk to the top if you're up to it, as well as to the top of The Monument, a 7 min walk away from the flat which marks the site of the Great Fire of London. Once you have decided to stay with us, please let me know how you will be sending payment so that I can look out for it. I will keep your booking pending for a reasonable period of time until payment is received. I will not accept another booking without notifying you that I have not received payment and I have another interested party and thereafter giving you an opportunity to make payment. We do not charge a damage waiver as in all the years of renting our flat out, we have had minimal damage occur and it is more hassle taking a waiver and then refunding it. We operate an honesty system and expect that our guests will treat the apartment as they would their own home.